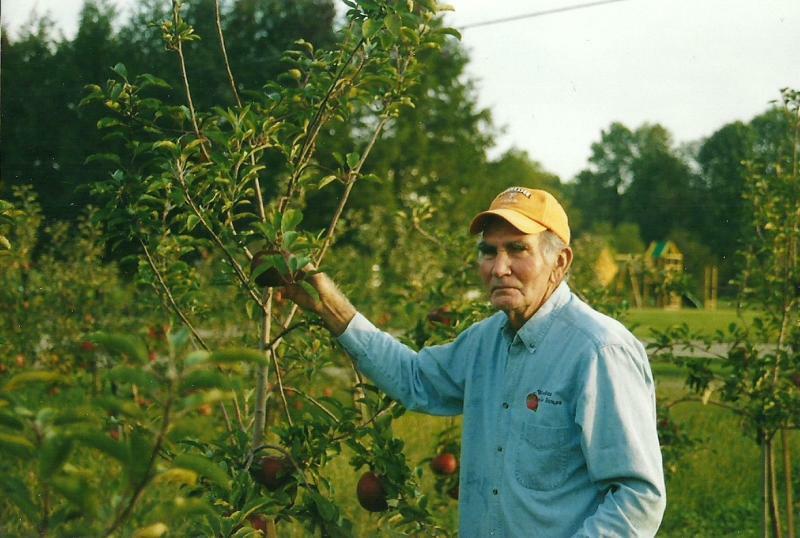 Although Oren Wooden Apples is located in Bledsoe County, Tennessee, the story behind the Farm actually began in Safety Harbor, Florida over 100 years ago. Oren's family owned orange groves in Safety Harbor, which is a small town near the Tampa Bay. They lost their groves during the Depression and returned to Bledsoe County where Oren's Father, Henry was a native. Oren was 10 years old at the time. Once back in Tennessee, Oren and his Father and brother, Clements made their living cutting timber, running sawmills, and "truck farming" for many years. Oren's Father set a small orchard of apple trees in the 1940s. It continued to grow over the years. Oren's daughters Sandy Burnett and Carole Smith, and their husbands Mark Burnett and Labron "Chubby" Smith, now run the business and have helped him expand the orchard to over 100 acres. Copyright 2012 Wooden's Apple House. All rights reserved.